The California Truck and Bus Regulation was developed in 2008 by the California Air Resources Board (CARB) to reduce emissions of greenhouse gases and diesel exhaust particulate matter – an air contaminant that studies have linked to adverse health and environmental effects. The regulation applies to all diesel trucks and buses that operate within the state and have a Gross Vehicle Weight Rating (GVWR) greater than 14,000 pounds. The regulation requires older heavy vehicles (diesel trucks and buses with a GVWR greater than 26,000 pounds) to be replaced with 2011-or-newer vehicles – or have vehicles fitted with 2010-or-newer model-year engines – by January 1, 2023. Some older engines can comply with the regulation if they are fitted with a Diesel Particulate Filter (DPF) which is used to reduce diesel emissions. Trucks that comply with regulation will attain certification from CARB. Beginning in 2020, trucks that are not in compliance with the regulation – and do not have CARB certification – will be unable to register with the California Department of Motor Vehicles (DMV). The regulation went into effect on January 1, 2012. There was an understandable uproar in the trucking community as carriers – especially smaller ones with limited resources – were being forced to spend significant sums of money to make their fleets compliant. In light of this outcry, CARB – in 2014 – proposed amendments to the regulation that would make life a little easier for carriers struggling to comply. These amendments included an allowance for fleets with 3 or fewer trucks extra time to fit their trucks with DPFs if they were denied for loans (DPFs can cost over $20,000); extension of the low-use exemption (see below) from 1,000 miles per year to 5,000; and increased agricultural mileage exemptions. However, some truckers who already spent their hard-earned money on complying with the regulation at the outset cried foul that their non-compliant competitors were being rewarded for doing nothing. In a landmark case headed by John R. Lawson Rock and Oil of Fresno and the California Trucking Association (CTA), the plaintiffs sued CARB on these grounds. Ultimately, and after rounds of appeals, the plaintiffs were successful and many of the 2014 amendments were voided. There are a few exemptions to the regulation, including those for trucks rarely operating within the state. Trucks that drive 1,000 or fewer miles within California during a calendar year may qualify for the “low-use exemption.” Additionally, non-compliant out-of-state trucks may apply for a “three-day pass” with CARB that allows them to operate within the state for three days out of a calendar year. There are additional CARB requirements for diesel-fueled transportation refrigerated units (TRUs) that are installed on trucks for temp-controlled transportation. These units must comply with CARB’s Ultra-Low-Emission TRU (ULETRU) standards within 7 years of the model year date. In a November 2018 settlement with the EPA, two national carriers were penalized $125,000 and $100,000 each for operating non-compliant trucks in California and for failing to verify compliance among carriers it hired. These carriers were also ordered to pay a combined $575,000 for air filtration at Los-Angeles-area schools located close to freeways. 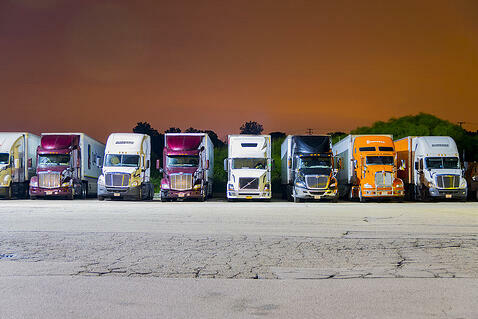 Earlier in 2018, three trucking companies settled for a combined $201,000 for non-compliance with the regulation. Just because shippers don’t own and operate trucks doesn’t mean that they’re immune from regulatory fines in California. Under the regulation, companies that hire trucks for use in California are responsible for verifying that the trucks of the carriers they hire are compliant with CARB regulations. This verification can be in the form of CARB certification or by recording key identification information about the trucks so that compliance can be verified. Non-compliant shippers face fines of up to $10,000 for each year that a non-compliant carrier was hired. If multiple non-compliant carriers were hired, those fines can become quite substantial. For carriers, the takeaway is simple: comply with this and other CARB regulations or expect hefty fines and, starting in 2020, the inability to register your trucks with the DMV. For shippers, you need to work exclusively with carriers that are in full compliance. To do this, your best bet is to partner with asset-based carriers – those who own and operate their trucks and equipment and can verify compliance of their entire fleet. Such carriers provide greater peace of mind than working with – and managing the compliance information of – several carriers at once, or working with brokers that don’t give you visibility directly into the carriers actually handling your freight. 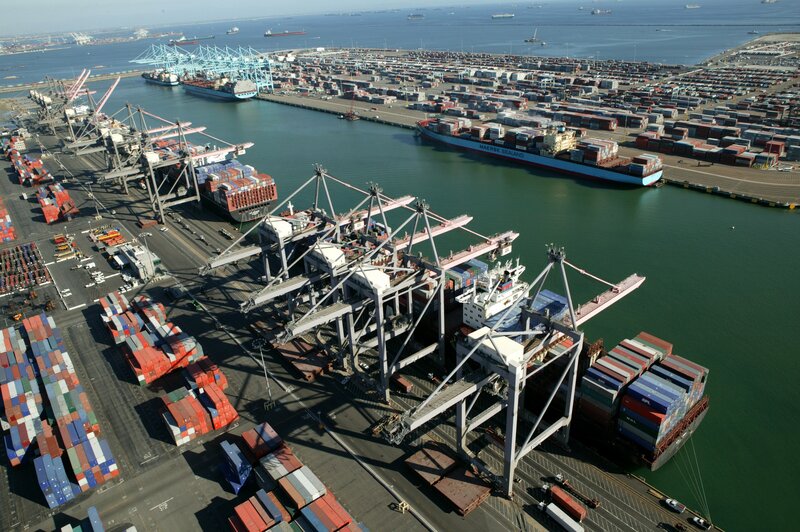 To learn more about partnering with a CARB-compliant asset-based carrier in California, contact Weber Logistics today.